I used the recipes from my wonderful book “Nourishing Traditions” by Sally Fallon and just added the wild in with the other ingredients. Whey from raw milk is so healthful and helpful in fermenting and I have lots of that hanging around. There is no such thing as spoiled ‘raw milk’ it just becomes sour cream, buttermilk or whey! Good stuff! I love the idea of not only providing helpful flora to our guts via nutrition but also preserving foods longer this way. 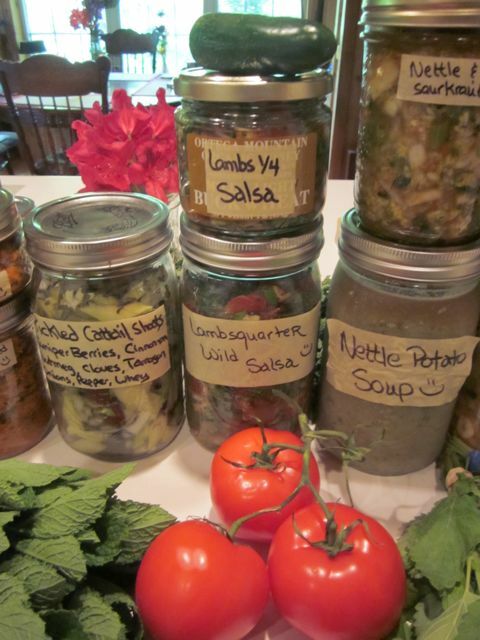 My wild feasts will have some fun additions with these fermented canned goodies. I’m curious–you say you use whey in your pickling recipes. What about the whey strained off from making Greek yoghurt? I make my own yoghurt and then let it drain through a coffee filter, so that it’s “Greek” style. But it seems like such a waste to pour off half of the milk! What do you think? Would it be a good acid to use in pickling? I also use the curds (sometimes adding a probiotic pill contents or two to it) as a face mask and the results are unbelievable! I could perhaps make a million bucks if I could market that! And yes, Kathlean, you have the right idea….never waste anything! Searching stumbleupon.com I noticed your website bookmarked as: My Fermenting Frenzy. bookmarking for a few of my websites but wasn’t certain if it would generate any positive results. 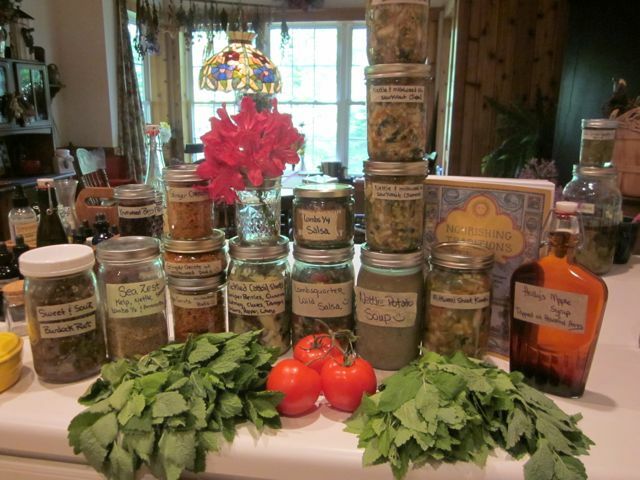 would be great to know how much wild you added to your ferments…or if you could suggest a wild fermentation book?? that would be great too!